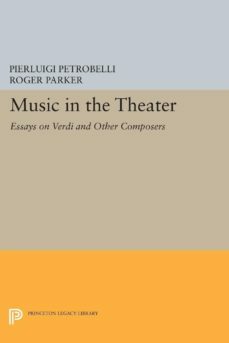 Well-known for leading audiences to a new appreciation of Verdi as a subtle and elaborate musical thinker, Pierluigi Petrobelli here turns his attention to the intriguing question of how musical theater works. In this collection of lively, penetrating essays, Petrobelli analyzes specific operas, mainly by Verdi, in terms of historical context, musical organization, and dramaturgical conventions.Originally published in 1994.The Princeton Legacy Library uses the latest print-on-demand technology to again make available previously out-of-print books from the distinguished backlist of Princeton University Press. These paperback editions preserve the original texts of these important books while presenting them in durable paperback editions. The goal of the Princeton Legacy Library is to vastly increase access to the rich scholarly heritage found in the thousands of books published by Princeton University Press since its founding in 1905.